School Management System, School Management Software, School ERP Software, Student Information System, School Management Software Delhi,India. 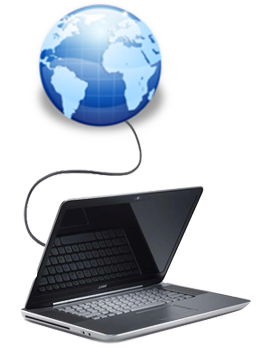 Web Based Applications are accessible using internet worldwide, intranet in school campus. Parent engagement is an ongoing process that increases collaboration between parents. School Connect is the best school software to automate fee management, academic, student attendance. 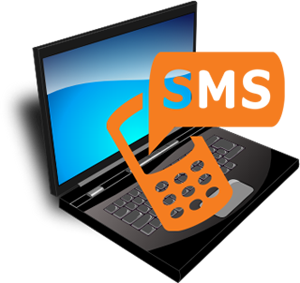 Now a days SMS integration is a very important part of any software like School. Complete Attendance Management Solution for school students. Attendance management system that saves your time, effort and money. 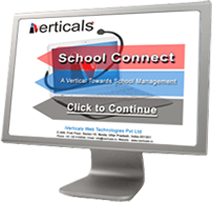 School connect is a web based application and therefore it could run over internet, intranet or on single system easily. Thus it provides powerful user interface using latest web technologies (Ajax, Jscript, Html 5, XML etc.). It provides facility to increase more PC to work on School connect without increasing your software maintenance cost. 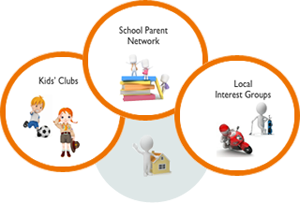 School Connect provides simple and easy to use user friendly interface to fee management. 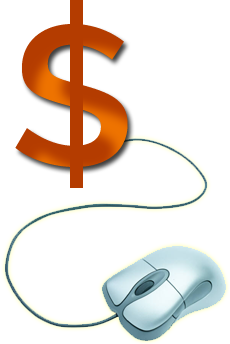 Authorised user or administrator can create class/course wise fee structure. It provides a interface to print the customised receipt with fee structure and discount (if required) at the time of admission and further fee deposit. School Connect provides plug and play system to integrate SMS Gateway. After activating SMS features, it provides a module to manage SMS. Authorized user can send SMS to parents, students or staffs as per choice on different event. Like at the time of admission, fee deposit, absents, leave cancel, fee alert etc. School Connect provide an easy to use and user friendly interface to manage attendance of student manually by their class teacher or authorised user. It also has features to integrate attendance management system to biometric and automatic SMS and Email sending to parents of student in case of absent without leave. School Connect provides a login panel to parents in this panel he can look his child activity including attendance and remarks in school. He can send his query to teacher or school administrator and get reply and vise versa. School Connect provides library management module to manage inventory of books and advanced and smart searching facility to issue and receive books to valid students and staff in particular time duration. 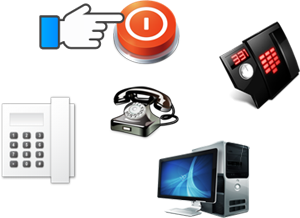 iVerticals Web Technologies Private Limited is a young player in IT industry with highly skilled professionals to provide cutting edge solutions to its clients. We are simply known for our excellence of work & professionalism, Our services include professional website designing & development, software development, ERP Development, E Commerce, Online Marketing & SEO, Domain Booking & Website Hosting Solutions ( On Our Server ) Smart Card Solutions & Bulk SMS Service. We are having more than 1000 active clients in India and abroad. School Connect is the trusted choice of school administrators across India. We have worked hard for over many years to develop a web based School Management System that responds to educational institutions and society needs and strive to the kind of software application administrator will feel comfortable with from very first use. Our school management software is designed to meet the needs of all types of schools, colleges and universities from elementary to post-secondary to the masters. Our applications are based on latest technologies, composed of competent designers and programmers, deliver high quality solutions at remarkably competitive rates and finally implement our solutions. Adopt the adept is our motto. Get technology to make your life efficient and easy is what School Connect believes in. Core strength of any teacher is educating and mentoring which s/he can with an unswerving focus only if s/he is hands-free of her administrative job. An educator can now leave the administration, attendance, class management to School Connect, which specializes in management operation.